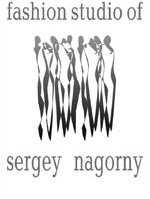 Fashion Studio of Sergey Nagorny» is the most powerfull modeling agency in Belarus which is oriented on full service in modeling field on domestic and foreign market. Due to its brilliant reputation the Agency has won the leading position and deserved respect in its professional sphere. «Fashion Studio» cooperates with the most prestigious modeling agencies in Milan, Paris, London,Tokyo, New-York. Due to the professional work of our scouts and to the agency’s podium-school we prepare new faces on a regular basis and permanently update our website.